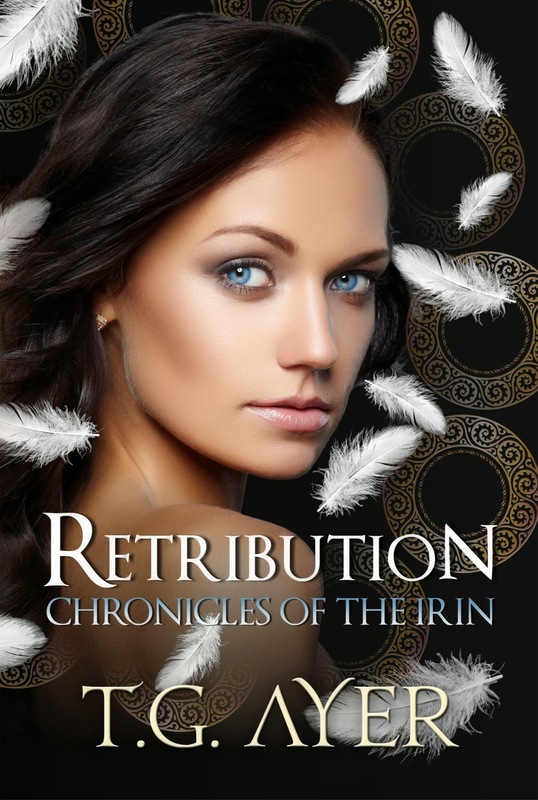 Soul Chaser: Retribution Blog Tour - Extract, Review, Interview & Giveaway! 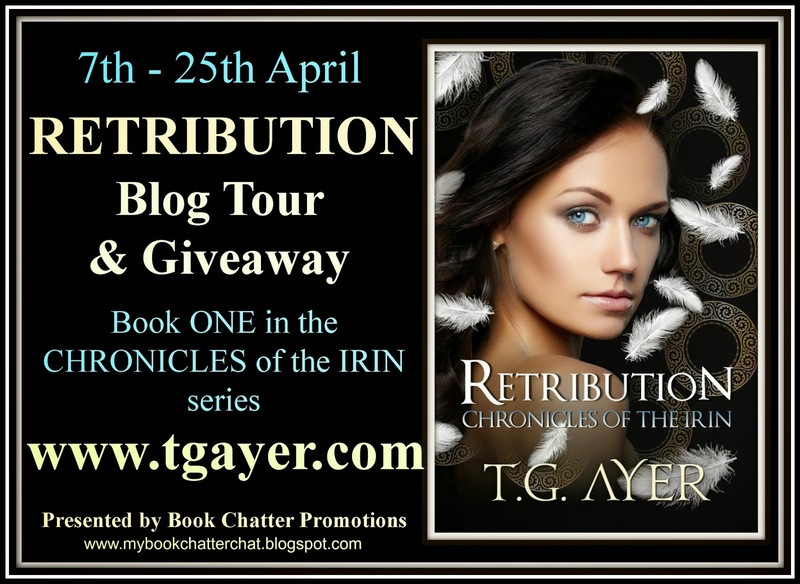 Retribution Blog Tour - Extract, Review, Interview & Giveaway! She followed quickly with her right hand, sweeping the curved blade of the Damascus dagger clean across his throat, landing silently on one knee. The deadly edge slid smoothly through glamor, demon hide, and bone. Landing in a crouch, Evie held her breath and watched him through the strands of her hair, which had escaped its bindings at the back of her head. It had happened so fast. Too quickly for the demon to defend himself. His body fell slowly, heavily to his knees, then crumpled awkwardly onto his back until he landed beside her. Evie met his eyes. And sucked in a breath. An unconscious pause as she waited to see the last emotions fly across the demon's face. T G Ayer seems to be good at recreating the strong willed and determined independent young woman that seems to be regular heroines nowadays. Except of coure Ayer's heroines all have their own deep dark and often magical secrets and often live in a world like our own but where myths and legends and ancient cultures still exist beyond mere mortals vision. 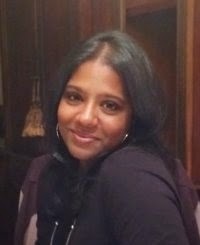 In this book, the first of another new trilogy, the heroine is connected to a Brotherhood that is meant to protect and serve humanity. The focus of all conflict comes from the recent and sudden change of the leader. This is where an element of mystery and detective story blends in with the supernatural characters. The trio friendship of the heroine Evangeline is well characterised a they all handle the change differently and yet all agree that something isn't quite right. It is that unity and the determination of Evangeline to find the dirty secret behind the new power that leads to a kind of alliance with demons which sadly aren't as scary as I had hoped but I felt after reading the novel that they are more of a tainted mirror representation of Evangeline and her kind. More characters of a moral compass than plot devices taking it forwards. I must be honest and say that although the plot had some interesting twists I did feel that a lot of the crucial points, decisions, objects etc were a bit too convenient or told more via the narrator or openly and too easily revealed by characters. At some points things happened that were either easily predictable or just seemed a bit random. For example, there is a point near the start where the narrator and reader observe characters instead of the heroine. In the latter half of the book I felt this narrative device could be utilised more as there was one line in the book where it suddenly became a first person narrator and not a third person narrator. In the latter half I was more curious about what was happening to the other characters introduced in the first half than the feeble challenges faced by our heroine. The ending although fitting wasn't as dramatic or as powerful as it could have been. Even the very last line listing all the unfinished business shows that perhaps due to the complex nature of the plot the characters and story structure had to be a bit forced or set out and simplified. Nancy Drew, Trixie Belden and the Hardy Boys of course; Anne of Green Gables, Little Women, The Lord of the Rings Series. Paranormal, fantasy and horror but I read everything – as long as the book holds my attention for the first ten pages I’ll read it. It depends on where I am and what I have available. If I’m caught out its pen and notebook that I always have in my handbag. Mostly its my PC during the day, and my iPad at night if I’m writing in bed. If I do get away for the weekend or am away from the house for a few days it’s the laptop. I try to write every day. I think creativity in writing is like a muscle and if you stop using it it tends to get lazy. I try to do 3k a day and sometimes when I do want to push I do 5k a day. It’s a rush and can sometimes get crazy if I have edits happening at the same time but I love it more so because I hate the feeling when I can barely write 500 words in a day. Then I feel a little useless because I know I can do more. I usually write first thing in the morning until lunchtime and sometimes I may come back to write a little more late at night when the household is asleep. As a writer you must find time to read. I think reading is inspiration and most writers need the creative input of reading to boost their own creativity. At least it works that way for me. I find I’m most prolific in terms of plotting and writing when I make the time to read. Everything inspires me, especially people and culture. I’ve always been fascinated with the way the mind works so that’s something that I question a lot when I’m working on a project. Definitely paranormal/fantasy. I love mythology and fables. I love the mystery of the possibility of the impossible. Hopefully still writing and still loving it as much as I do now. What contributes to making a writer successful? If you apply yourself, set your goals, write those books and don’t be afraid of hard work success is waiting for you. And working at you craft is so very important. Writers are learning all the time, be open to learning new ways, new styles, new tricks. If you are happy to continue learning and being a better writer then you are on your way. It’s just a matter of working hard and writing well.